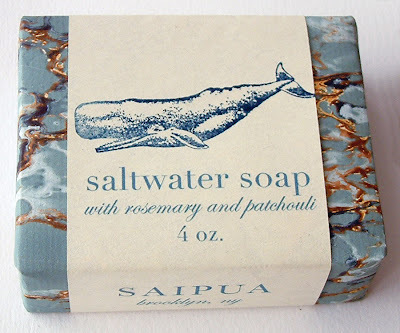 We brought the Saltwater soap back this month - in time for my dry winter skin. If you don't have time to soak in the tub (or, like me, don't have time to clean the tub) this bar does the trick; exfoliating with large sea salt crystals, re-hydrating with 42.9% olive oil and jazzing the senses with rosemary essential oil. I was suffering from the winter vegetable doldrums right after xmas. An ancient fennel bulb in my crisper spoke to me and ever since I've been using fennel in everything - it has a fresh spicyness appropriate in winter cooking. 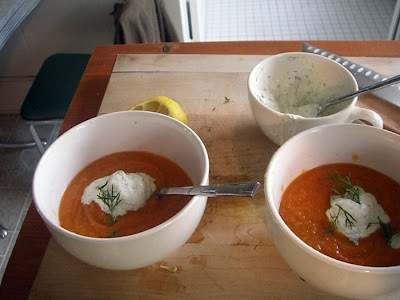 The carrot soup I was working on months ago really benefits from a few fennel bulbs - I just brown chopped fennel, carrots and onion in butter, add some chicken broth, cook for 35 min or till vegetables are tender, then wiz up in the food processor till smooth. Crem fraiche and dill will help too. Tomorrow we're off to the flower market at the new target time of 5:30 am. I'll post with some pics of what we pick up. dressed fennel tossed with grapefruit or blood orange (and whatever else you like... i think i did poppy seeds) is also a tasty salad. cute title btw.